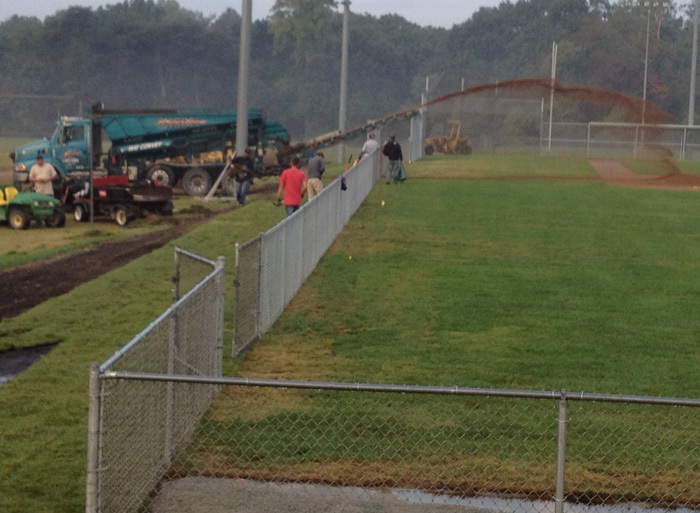 Drainage problems corrected at Multi-Field Athletic Complex - Alpine Services, Inc. 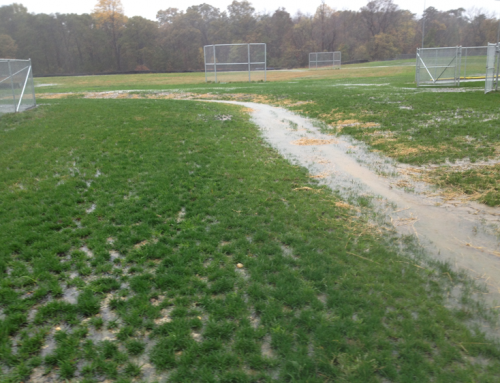 The owner of a new 12-field sports complex refused to accept delivery from the construction contractor because of poor grading, drainage problems, and poor grass quality. The overall site plans were very problematic and the plans were not followed well. This newly completed complex had 60’ little league and youth fields with fenced cloverleafs, high-end (with bleachers, etc.,) fenced football and soccer fields, and unfenced practice fields with poor grass. Grove Teates of Alpine Services, Inc. examined the fields, determined that the grades were incorrect, and that the new fencing (3,000-4,000 linear feet) would need to be removed and replaced so that drastic grade corrections could be made on 9 of the 12 fields—not a pleasant revelation for the contractor or owner. 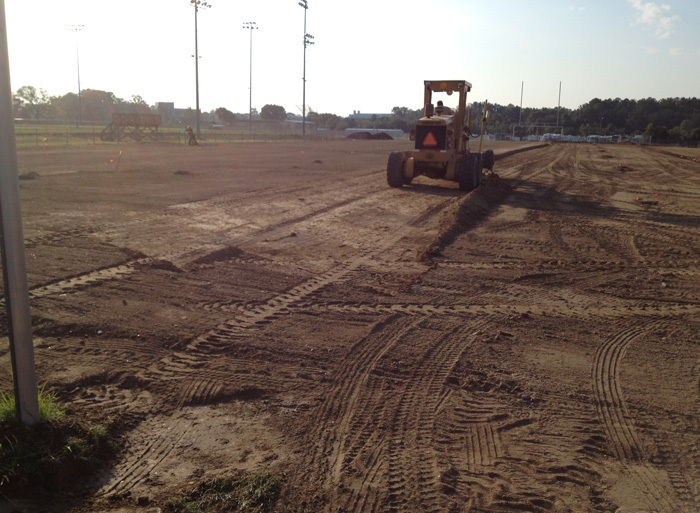 Teates used considerable skill and finesse when informing the contractor of this massive corrective need. Teates determined that the maximum grade error was about two feet! Due to Teates’ experience and knowledge, the plans, with the owner’s permission, were changed to be workable—thus eliminating considerable delays. 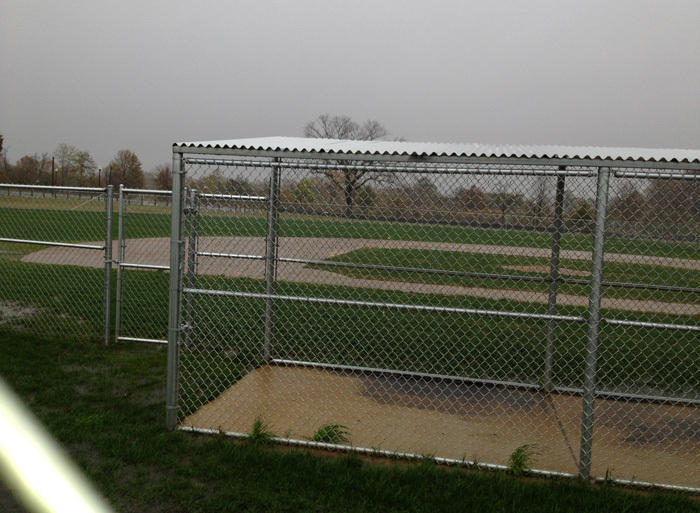 The aforementioned fencing was removed, nine fields were graded to new, proper specification and field and site drainage was corrected and tested (significant rainfall occurred soon after the project was almost complete—the original contractor and repairing contractor watched a successful 2” rain test on all grades and drainage). Teates’ confidence, experience with similar projects, and demonstrated knowledge made the owner confident that the site would be properly rebuilt–this led the owner to know that he would not need to go through the process of job rejection and re-bidding, thus avoiding a significant delay. The provided construction process moved the errant contractor and owner to a rapid turn-around and problem resolution. This successful result was created from a problematic project with a minimum of delay and angst. 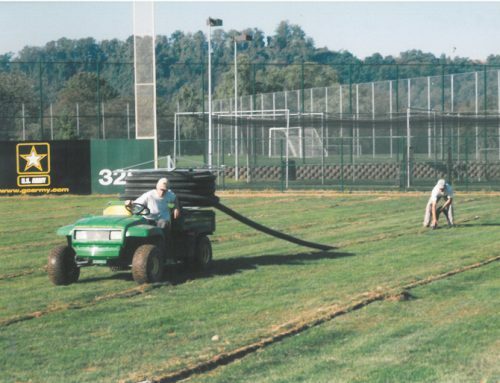 The failed contractor minimized his losses for the job while the owner minimized his time that the fields were unavailable for use. Both the contractor and owner benefited due to the expertise provided by Grove Teates and Alpine Services, Inc. Shooting soil over fence and finished grass and onto the skinned area. 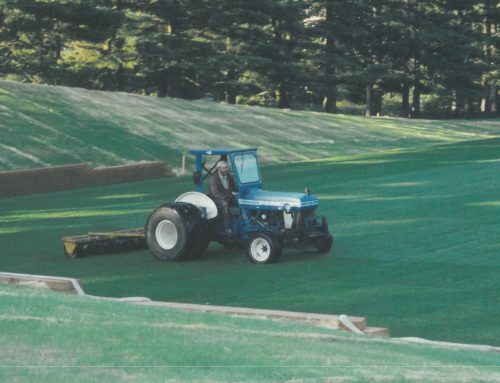 Initial pass with a laser controlled grader.